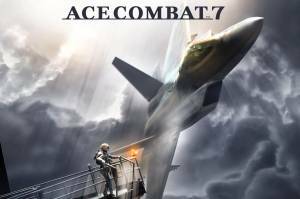 Ace Combat 7: Skies Unknown is a combat flight action video game that is the latest installment in Bandai Namco's Ace Combat series. Players take the role of an elite fighter pilot with the callsign 'Trigger' who is tasked with patrolling the sky in the cockpit of one of the most advanced war planes ever developed taking down enemies through tactical dogfighting. Players can choose from an array of authentic modern and futurist aircraft which they can load up with an arsenal of cutting-edge super weapons as unfolding events in the storyline drive them into ever more dangerous aerial face-offs. The game features 2-player local multiplayer and special missions in virtual reality that are exclusive to PlayStation VR.